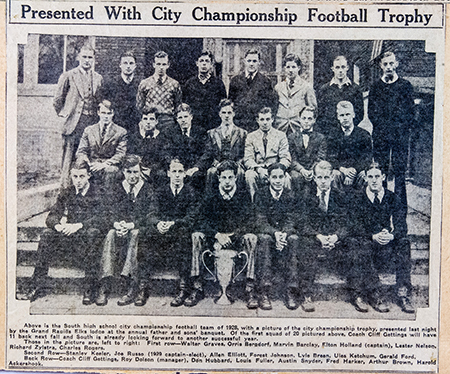 Newspaper clipping featuring a photograph of the South High 1928 football team, which won the city championship game that year. Ford is on the far right in the second row. This was taken from Dorothy Ford's scrapbook.